Can America be fixed? Of course it can. We’re Americans aren’t we? I must admit that I spent a few sleepless nights after I made the commitment to run for office to represent California’s 45th Congressional District. Anyone who wouldn’t is either a fool or a career politician. All they worry about is getting elected. Obviously, career politicians don’t think much about solving problems. If they did we wouldn’t be in the position we are today, would we? If you stop and think about the problems facing America you may just bury your head in your hands and give up. Yes, it’s really that bad, but it’s not beyond hope. Nothing is beyond hope for Americans. That’s one of the reasons I love being one of you and it’s that hope that allows me to sleep peacefully. The current session of Congress doesn’t appear to be solving much of anything, does it? The House keeps passing legislation that Harry Reid won’t even allow to come to a vote in the Senate. And, if a bill were to sneak past him, President Obama is waiting in the West Wing with his veto pen in hand. Thus it appears that we’ll have to wait for the next session of Congress for any solutions. What can the next session of Congress do any differently? Actually, it can do a lot even if the Republicans don’t win a majority in the Senate and keep their majority in the House. It isn’t likely they will win a sufficient majority in both chambers to override the President’s veto, is it? Actually, the Democrats will have to work with the Republicans for anything to be accomplished. I know that the Republicans were labeled “The Party of No”, but recent events have proven that to be false. Harry Reid’s behavior clearly demonstrates where the obstructions lie. However, the recent vote in the special election in Florida gives me hope. The Democrats have been given a clear message that the people aren’t going to support them blindly in the next election. Hopefully, that attitude will prevail again in November and the people will send Representatives and Senators to Congress who are committed to solving problems. No, not everything can be fixed in just one session. Many issues, even important issues, will have to sit on the back burner while Congress focuses on restoring the economy and getting government out of the way of the people who create jobs. Without these fixes, nothing else matters. For example, even though we have the best and mightiest military in the world, they can’t defend us if we can’t afford to deploy them. Likewise, we can’t address the health and welfare of citizens without the wealth needed to pay for them. Ending Obamacare will be the first step in undoing the damage to our economy. It will reduce the restrictions that have kept business people from investing in America. More has to be done, but ending Obamacare will be a step in the right direction. Obviously, we’ll still have to address the problems that the Affordable Care Act was supposed to resolve. Republicans will have to reciprocate with openness to repairing the system the Democrats almost destroyed. I will encourage an effective, while cost-efficient healthcare system; a free-market system that provides quality and personal choice without growing the government, invading our privacy, and raising our premiums. Insurance companies should be able to compete across state lines for customers, and lowering the price of prescription drugs must be a priority. One last issue I want to address. We all know someone who is or had suffered from breast or prostate cancer, or Alzheimer’s. I personally will spearhead a bipartisan initiative to work with the National Institute of Health, the American Cancer Society, and the Alzheimer’s Association to find a cure for these deadly diseases ASAP. Partisanship must be replaced with collegiality and collaboration to craft solutions to our nation’s problems. That’s the attitude I plan on taking to Washington if I have the honor to represent my friends and neighbors in CA-45th Congressional District. 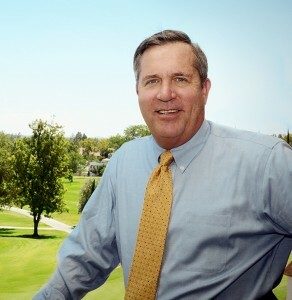 Colonel Greg Raths USMC (RET); Candidate for California’s 45th Congressional District. This entry was posted on Wednesday, March 19th, 2014 at 6:06 am and is filed under Blog Posts.